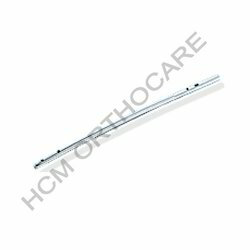 Pioneers in the industry, we offer universal femoral nails, interlocking nails for femur, femoral proximal interlocking nail, titanium flexible nail, enders nails and tens nail ( elastc nail ) from India. 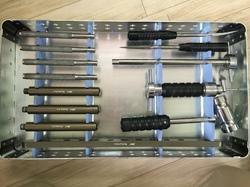 We hold the expertise in offering premium quality Universal Femoral Nails with Dynamic Locking to our customers. Our range is developed using high quality materials that are sourced form reliable vendors. 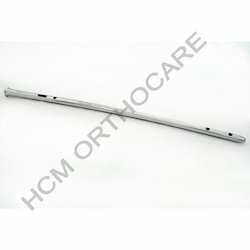 Our clients can avail supreme quality Interlocking Nails for Femur/Femur Interlocking Nail from us. These products are available in 340, 360, 380, 400, 420 and 440 milli meter length and are acclaimed for its high quality. Due to our wide distribution network our range is used in various industries. They are offered to our clients in 9, 10, 11 & 12 milli meter length and market them at affordable prices. 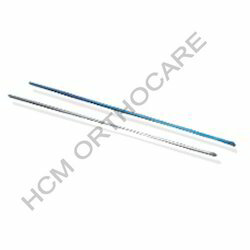 The expert team of our company offers premium quality Femoral Proximal Interlocking Nail to our valued customers. We are also make Long PFN Nail in 130 Degree & 135 Degree. Range : Length 250 mm. In Long Nail 340mm , 360mm, 380mm , 400mm , 420mm, 440mm. 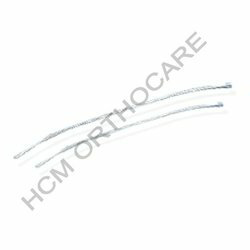 We hold the expertise in offering high quality Titanium Flexible Nail to our customers. With the help of our advanced manufacturing facility we ensure their accordance with the high quality standards. Being a quality centric organization, we offer supreme quality Enders Nails to our valued customers. The quality analyst of our team checks the entire range on various required parameters. In addition to this, we also offer customized solutions to our clients to meet the specific requirements of our clients. Length : 20 to 30 cm for 3.0 and 3.5 mm dia. 30 to 40 cm for 4.0 and 4.5 mm dia. We are reckoned as reputed manufacturers, suppliers, and exporters of premium range of Intramedular Nails such as Bone Nail that are designed strictly in accordance with international norms. 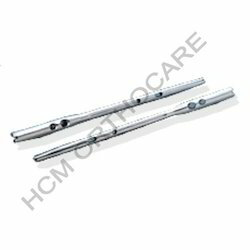 These are used extensively for fixation procedures in orthopedic surgeries. We use the finest metal alloys and manufacture these in our state of the art facilities. These are manufactured under rigorous norms of quality that are in agreement with set standards of the domain. Our range is available in different specifications and is widely acclaimed for dimensional accuracy and sterile as well as hygienic nature. These can be availed by our valued clients at leading industry rates. Looking for Intramedular Nails ?